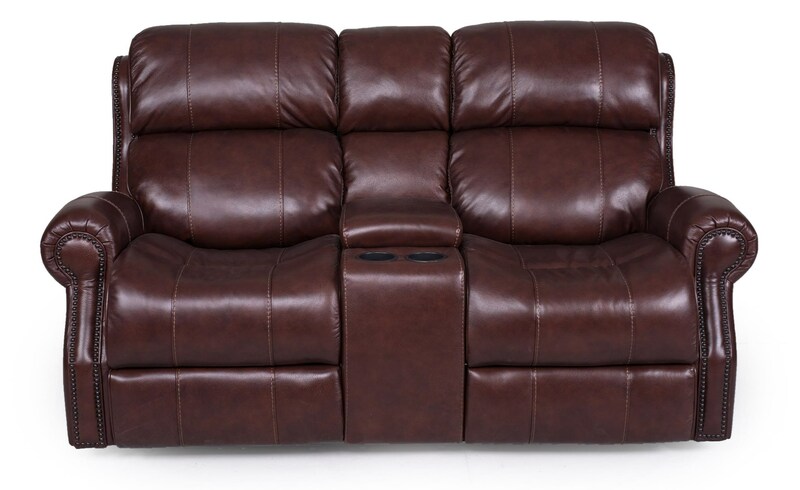 Featuring rolled arms with nailhead trim and tons of smart features, this power reclining loveseat offers a more refined take on comfort. Power reclining seats and headrests let you adjust your body into infinite positions, while USB ports let you charge devices while you recharge. The 1628 Power Reclining Console Loveseat with Power Headrests by Sarah Randolph Designs at Virginia Furniture Market in the Rocky Mount, Roanoke, Lynchburg, Christiansburg, Blacksburg, Virginia area. Product availability may vary. Contact us for the most current availability on this product. Browse other items in the 1628 collection from Virginia Furniture Market in the Rocky Mount, Roanoke, Lynchburg, Christiansburg, Blacksburg, Virginia area.